I never thought I’d make my best friend while working as a janitor. But six years ago, as we scrubbed dorm bathrooms as part of our work-study job in college, something extraordinary happened. One day, after spending so much time together and sharing so many life stories, I realized I couldn’t imagine going through life without her. How did that happen? Great friendships don’t just fall out of the sky (unless you’re hang-gliding and crash and meet your best friend by falling on her, I guess. Which didn’t happen to me). So how do they happen? What does it mean to be a good friend? Are you a good friend? Do you have good friends? 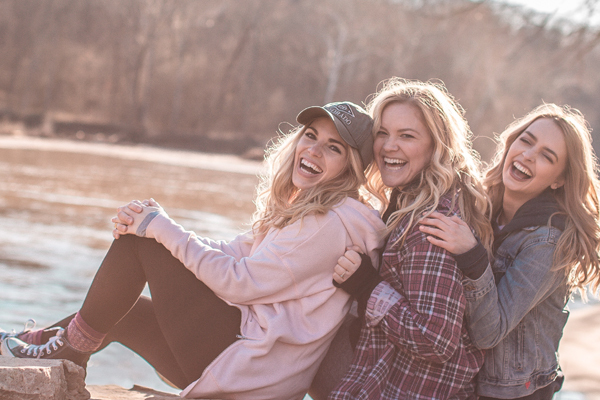 At the heart of it, friendships are designed to help us become the-best-version-of-ourselves. You can survive without friends, but you can’t thrive without them. Being a good friend doesn’t happen overnight—it’s built over time through these six habits. You see, at the heart of it, friendships are designed to help us become the-best-version-of-ourselves. Reciprocal honestly helps you both get there. 2. Celebrate each other’s successes. What kind of friend do you want to be? Someone people can open up to because you’re supportive and encouraging, or someone people steer clear of when they have good news? Jealousy is a powerful emotion that can seriously damage relationships if you aren’t sure how to tame it. So here’s a simple way to deal with it. When you start to feel jealous, explore what could be causing it. Maybe your friend lost twenty pounds and you’re self-conscious about your own weight. The issue isn’t her weight loss; it’s really how you feel about yourself. Once you identify this, you can talk to your friend (if you are close enough) and find a way to move forward together. For example, you could say something like this: “I feel jealous of your weight loss but I’m also so happy for you. You look great and seem to have more energy! Would you like to start going to the gym once a week together so I can get in better shape too?” Then you’re constructively dealing with the jealousy, and becoming closer friends in the process. 3. Give advice . . . but don’t preach. Do you ever find yourself automatically going into preacher mode when one of your friends opens up about a tough situation or problem they’re facing? I’ve learned the hard way that nobody wants to open up to someone who only wants to give advice without letting the other person talk things through. You can offer your genuine opinion, but don’t forget to stop and find out what your friend truly needs as well. Saying things like, “That sounds like a difficult decision. What do you think you should do?”, “How do you feel about that?”, “Would you like my input?”, “I’m here to listen,” and “I’ve got your back” will show your friend you care about their feelings and are here to give her support. And that goes a long way! 4. Seek to understand before being understood. People don’t have to agree 100 percent of the time to be good friends. Sometimes, you and your friends will argue. Don’t worry! Conflict can actually make you stronger, depending how you handle it. When something happens between the two of you, bring it up—but wait until you are calm. If you or your friend are heated, things can go downhill fast. Once you are calm, let your friend know you want to discuss the situation and find resolution. Remember to seek first to understand your friend’s side of things. Say, “Can I hear things from your side?” or “I’m really interested in what your thoughts are on this.” Then, you can respond and let your friend know how you feel as well. This will minimize tension and give you and your friend a safe environment to open up and really discuss the issue. I’ll never forget this one time in college when I really hurt my best friend. She was trying to help me with a tough situation, but I wanted to deal with it alone and I wasn’t very kind about it. She didn’t bring it up, but I could tell I had really misstepped. Has that ever happened to you? It’s an awful feeling. So what do you do? In my situation, admitting I was wrong and apologizing strengthened our friendship. Apologizing can work wonders in your relationships, too. Remind yourself that you make mistakes too, and that your friend is trying her best. Everyone deserves a second chance. On the flip side of that, remember that there will be times when your friend owes you an apology. Nobody is perfect. Sometimes your friend will let you down. Forgive him and move on. Of course, this is easier said than done. When you feel like you can’t forgive your friend, take a moment to remember why you became friends in the first place. Remind yourself that you make mistakes too, and that your friend is trying her best. Everyone deserves a second chance. 6. Be the friend you want to have. 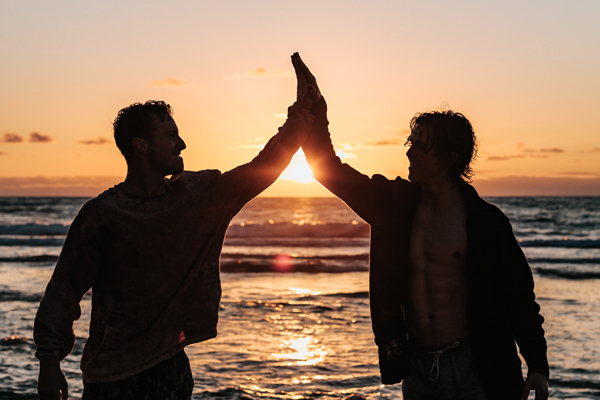 Find ways to get better and better at being an awesome friend, and you will simultaneously attract high-caliber friends and inspire your current friends to become the-best-version-of-themselves, too.